In 1984 I was advised by the medical profession that I had maybe three years left of my life. 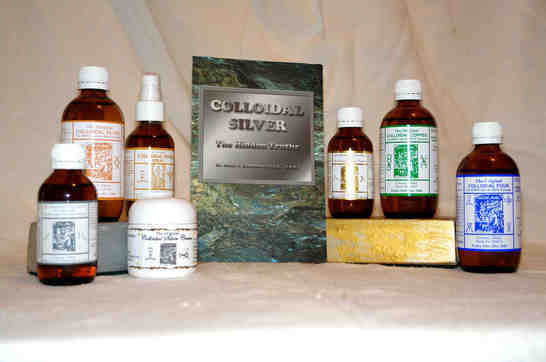 last August 2006 I had my 78th birthday, feeling 50 years young through my discovery of Colloidal Silver - THE NATURAL ANTIBIOTIC. In May 1917 Sir Malcom Morris K.C.V.O. Wrote in the British medical Journal, Under the heading: "THE AFFECTION OF COLLOIDAL PREPARATIONS"
This results (from Colloidal Silver) which make it an obvious duty to suggest that trials on a large scale ought to be given to this form of medication which promises to affect a Pharmacological revolution. It acts with a singular rapidly, free of disadvantages, inseperable from the same drugs in an ordinary state, and its extensive use would affect an enourmous economy on drug consumption.